Billiat said he has enjoyed his first derbies but the results soured the experience. 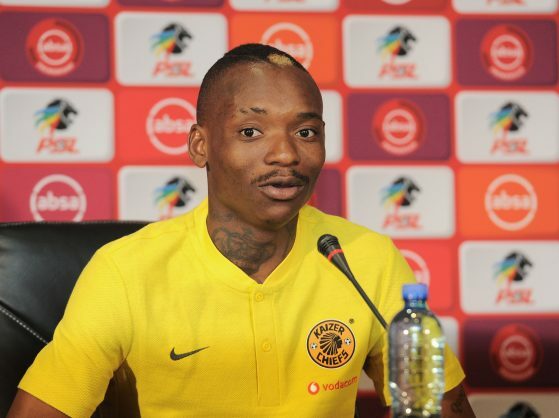 Big games need big players and they don’t come bigger than Kaizer Chiefs’ petite Khama Billiat who boldly declared when he joined Amakhosi that he wanted to play in front of big crowds like in the Soweto Derby. The 27-year-old is Amakhosi’s biggest star and their best signing in recent years. Billiat have given good performances for Amakhosi and even scored against Orlando Pirates in the last derby although his goal was cancelled by Innocent Maela and Vincent Pule scored the winner for Buccaneers. Speaking ahead of tomorrow’s derby at FNB Stadium, Billiat said he has enjoyed his first derbies but the results soured the experience. “You have to get used to it (the derby). It’s not easy but I believe it’s nice when you win. Playing in front of big crowds gets the best out of you. It is exactly what I expected it to be,” he added. Billiat said he has tried to not think too much about tomorrow’s game but found it difficult as everywhere he turned someone was talking about it. “It’s a great feeling to know the whole country is waiting with anticipation. The whole week you get reminded about this game. Even when you try to have a moment alone at home and not think about it you can’t because when you switch on the TV, you find they are talking about the upcoming derby. Even the people in the streets stop you and talk about it,” he said. “That explains how big it is. It tells you how much you need to prepare, how much you need to do individually before you get to training to get through the team’s tactics. “But we are looking forward to it, we don’t want to be in a situation where we think about what we could have done better after the match,” said the Zimbabwean international. He will be happy even if he doesn’t score, as long as he helps the team win one way or another.